The Australian landscape can be vast and unforgiving, from the mountainous Great Dividing Range to the boundless plateaus of the Australian outback. Traditionally, the challenge for telecommunications companies has been how to provide service to Australians living in these difficult areas. Now, Vodafone has a solution. For the past six weeks, Scott has been trialling Vodafone’s Regional Coverage Hub, a self-install small cell solution which provides . The Hub is small, approximately double the size a regular WiFi modem, and can be mounted on the roof or external wall of a homestead. The Hub works by connecting to both an electrical source and an existing broadband internet service. Yet, despite its small size, Scott was able to use two devices to deliver more than 8 square kilometres of 4G coverage across his potato farming operation. 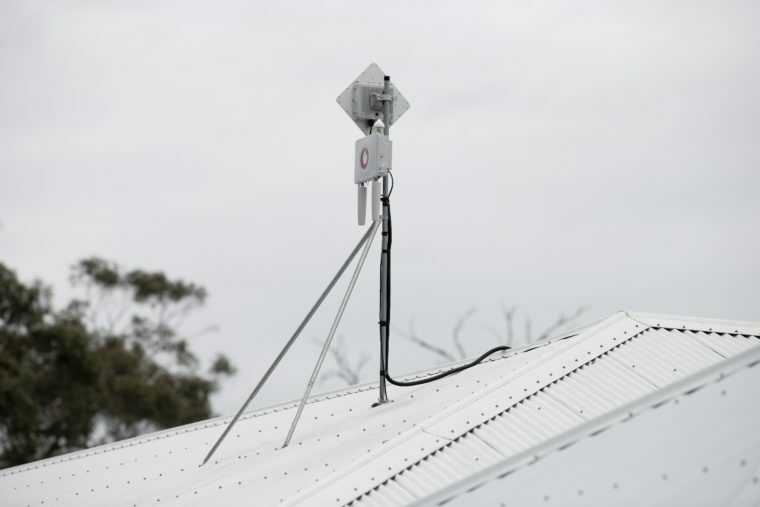 In addition to providing 4G voice and data services, the Vodafone Regional Coverage Hub also provides Internet of Things (IoT) connectivity, enabling farmers to automate processes via smart farming solutions. This includes solutions like livestock monitoring, remote machinery, vehicle tracking, and remote diagnostics. These technologies are predicted to have a huge impact on the Australian agricultural sector, with estimates predicting a $24.6 Billion boost to the Australian economy. During the trial, Scott was able to connect soil moisture sensors to the Vodafone network, allowing him to irrigate his crops remotely, using his Vodafone smartphone. The lack of reliable mobile coverage in rural Australia has hindered the adoption of many smart farming technologies. After all, it is difficult to imagine thousands of sensors and machines communicating with each other across kilometres of land when many struggle with basic mobile connectivity. For those who live in areas where commercial networks are not traditionally deployed or who find themselves in a coverage black spot as a result of topography, the Hub removes the dependency they have on mobile operators to get access to reliable mobile coverage in their homes or businesses. This allows them to circumvent the often lengthy process of building a mobile tower, or waiting for their provider to install their equipment on another provider’s infrastructure. The successful completion of this trial brings the Hub one step closer to providing additional coverage and choice to regional Australia. Vodafone hopes to be able to release the Hub to the market later next year. 4G is available with a compatible 4G device. 4G in selected areas in Australia. To find out where we have 4G see vodafone.com.au/coverage.